This unique dice bracelet is one of a kind and made of special pieces as well as being etched to make the spots for the numbers. Each dice is stamped with the dots needed to become a dice. The sizes of each dice is different and imperfect in size. 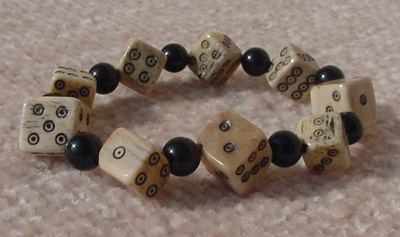 This is a special one of a kind Bunco Dice Bracelet.